Home billboard HSC HSC Unite Niccolo Cosme pictorial Project Headshot Project Headshot Clinic Project Headshot Clinic 2013 World AIDS Day My Project Headshot 2013 Pictorial, My Very First! My Project Headshot 2013 Pictorial, My Very First! 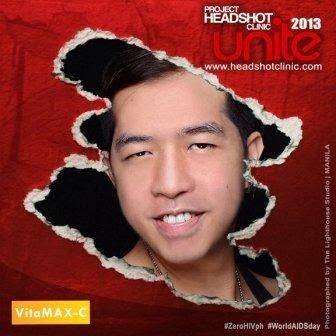 One of the things to be thankful this 2013 is that, I became part of the world's famous Project Headshot Clinic! Yes, this is an advocacy pictorial that aims for a union of leaders, advocates , and people around the world for AIDS and HIV awareness! The pictorial / billboard of the personalities were all up online on December 1 inline with the celebration of World AIDS Day. The said project is spearheaded by the famous photographer Niccolo Cosme. My pictorial was taken in Opus Bar in Resorts World Manila. My 2013 Holiday Greetings for Everyone! December 2013: "Counting Down the Blessings"